I have had so many clients talk about negative or toxic workplaces, that it's actually a little shocking to know that so many work environments are toxic - even though many of us know how that impacts business AND our health. Changing negativity can come from a complete culture shift in the organization... or it can begin with individuals. 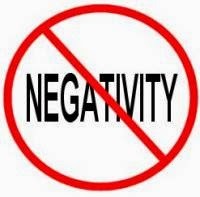 When people are negative, it prevents a business from operating at its maximum potential. Afterall, a business or organization is simply made up of a bunch of people, so the way the people act will define how the workplace performs. Negativity will come from many sources... beliefs and stories of each individual, jealously, lack of confidence, feelings of lacking control or not being included.... and many of these lead to good old stress... and believe it or not, being stressed is a choice. Of course, it is accepted, and even encouraged, in our society to be 'stressed'. So, it becomes perfectly acceptable for stress to be common in the workplace. Changing that needs to come from you. But awareness is needed first. There are a ton of things you can do if you are a business owner, team leader, or HR Professional to begin to shift a negative environment or culture (including doing my Create Your Culture Program). It can take years to accomplish a culture shift. However, you can do something that can have a more immediate impact. Negativity stems from each individual - in fact, it stems from each person's thoughts. Using mindfulness and meditation (a tool to improve mindfulness) can help shift a negative word, action, or thought into a positive one. Imagine the workplace when people begin doing this for themselves! So now that you know this... or maybe you already knew this... what now? Start from the beginning. Begin a mindful meditation group in the workplace (there are many types of meditation - I'm talking about mindful meditation). Novices often get the most value when they are guided. You can find many guided meditations online, or, of course, you can check out one of my programs: Introduction to Mindful Meditation or Zen@Work. Mindfulness is completely individual and experiential. I can talk about it for hours or days and you will not know it until you practice it. However, guidance and community helps to build new habits and learn what to do. It is best if this group is voluntary. Forcing someone to do a mindfulness program or to meditate is simply not mindful and unless the person WANTS to do it, it likely won't work and could result in even higher negativity. People who are practicing begin to see shifts in their attitudes, language, and behaviours and others want some of what they have. Negativity begins to shift because each person becomes aware of their own negative thoughts, words, and actions and, typically, begins to shift their responses. Often with mindfulness comes a raised emotional intelligence. And THAT is what will change negativity to positivity. Clients sometimes ask me how they will measure the success of a workplace mindfulness program. Well, the answer is quite simple. Ask. Of course, you can measure productivity or absenteeism or customer complaints (with time and a high level of participation, these key performance indicators are known to improve), but the real measurement is in each individual. Evaluate how the practice has impacted them. What shifted? How do they now respond to a potentially stressful situation? Do they experience more moments of presence and calm? What about their level of happiness? If you think these things don't matter to business, think again. Remember, your business operates because of the people in it. When the people are positive, confident, courageous, and contributing, your business will be able to respond to opportunities and challenges with greater ease. Tina Pomroy is a Mindful Leadership and Wellness Coach. Connect with her at tina@pomroy.ca, Facebook, LinkedIn, or Twitter.